2. 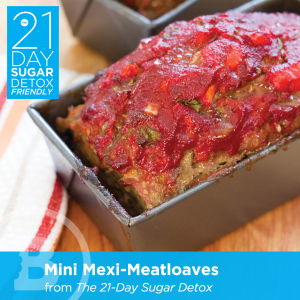 In a small sauce pan over medium-low heat, combine the tomato paste, water, bell pepper, cilantro, chili powder, sea salt, and black pepper and simmer for about 5-10 minutes while you prepare the rest of the ingredients into the meatloaves – stirring occasionally to prevent burning. If your sauce reduces too far and looks like it may burn, add more water 2 tablespoons at a time and whisk to combine. The sauce should have a fairly thick consistency, almost like ketchup, not loose like a pasta sauce. 3. In a medium skillet, melt the duck fat and sautée the onions over medium low heat until they are translucent and the edges begin to brown. Add the minced garlic and stir for about a minute. 4. In a large-sized mixing bowl, whisk the eggs and then place the ground meat into the bowl with the beaten eggs. In a small mixing bowl, combine the spices, carrots, bell pepper, and cilantro. Then add the spice and vegetable mixture to the meat and egg until well combined. 5. Divide the meatloaf mixture into 2 parchment paper lined mini loaf pans (or use 1 large tin, baking time may vary), filling them up and slightly over the top as the mixture will shrink a bit in cooking. 6. Spoon about 1/4 cup of the sauce onto each loaf, spreading it into an even layer to coat the top and reserve the remaining amount for dipping after the loaves are baked. 7. Bake uncovered for 40-50 minutes or until the internal temperature of the loaves reaches 160 degrees F.
Diane Sanfilippo BS, Certified Nutrition Consultant, C.H.E.K. Holistic Lifestyle Coach is a New Jersey-based Holistic & Paleo Nutritionist serving clients locally and beyond (US & international) via phone, Skype consultations and nutrition seminars nationwide. 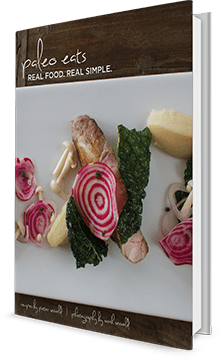 Author of “Practical Paleo: A Customized Approach to Health and a Whole-Foods Lifestyle.”Creator of The 21-Day Sugar Detox, a program designed to help you bust sugar and carb cravings in 21 days with the help and support of a community who is all in it together! Co-host of The Balanced Bites Podcast, a weekly radio show about all things health and nutrition.